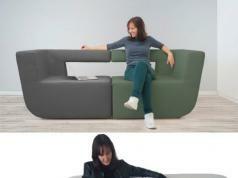 Ihpaper Expanding Paper Sofa: flexible sofa that expands to accommodate up to 9 people. It has a strong honeycomb structure. Fletcher Automated Capstan Table: this motorized table expands to become a dining table with space for up to 12 people. Pendulum Hanging Zome: inspired by Buckminster Fuller’s Geodesic Dome. 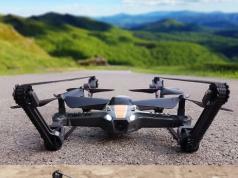 It has a power-coated steel frame and supports up to 600 lbs. Floppy Disk Table: looks like a large floppy disk. 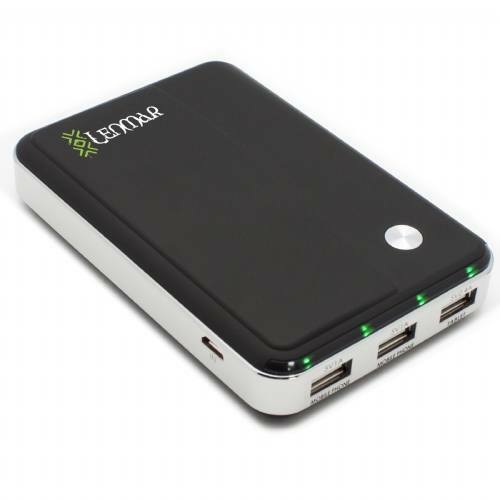 It comes with storage compartments inside for your things. Champ Boxing: a sofa and punching bag, so you can relax or burn some calories when you feel like it. FlexYah Folding Stool: made out of expandable table. 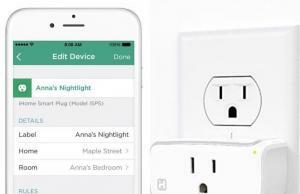 It supports up to 400lb of weight. Motorized Hidden Deck Table & Seats: a tablet and seats driven by motors that can be hidden when you are done. Sitskie Block Bench: a transforming bench that changes shape to adapt to your body. Wave Bench: an innovative bench that transforms into a bed as you lie down and provides ample support. 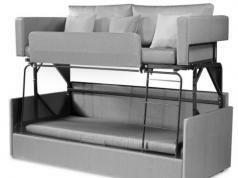 Slumbersofa Duo: a sofa that turns into a bunk bed effortlessly. 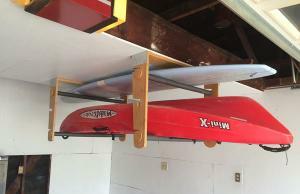 It has a protection rail, ladder, and locking system. Kollen: a modular, interactive bookshelf. 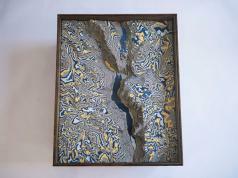 Its pieces work independently in two positions to hold and large items. Edit Free: a two-seat sofa on a level board, driven by a motor to rotate and move sideways. 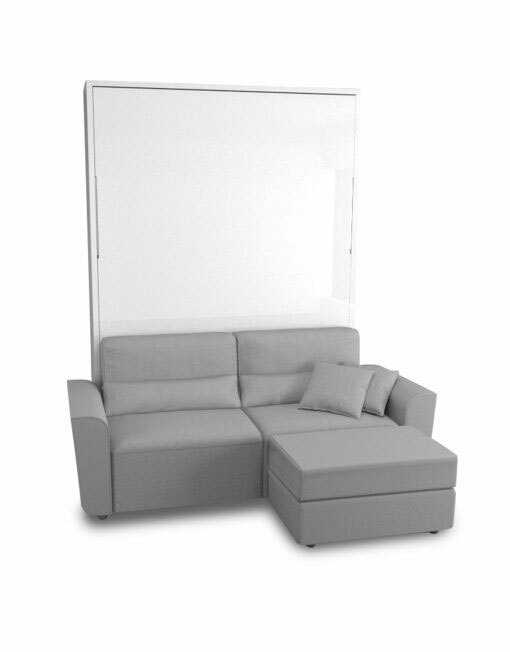 Swing Self-Standing Wall Bed + Sofa & Sliding Chaise: a wonderful idea for small places. It is available in 2 & 3-seat versions. Hippopotamus Sofa: a pretty unique piece that looks like a giant hippo. It has a steel frame, short legs, and big snout. 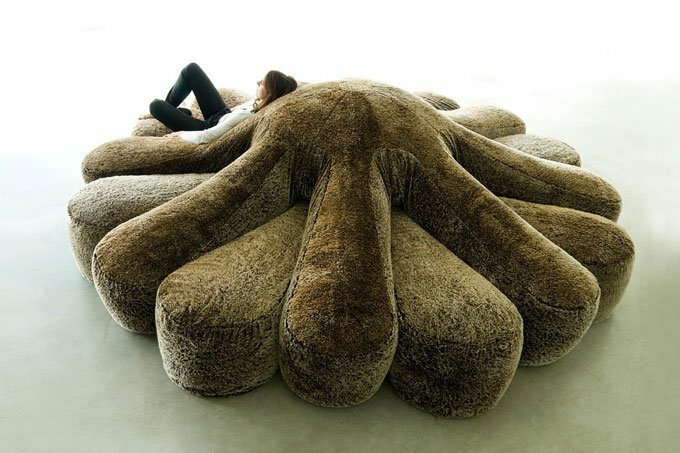 Aster Papposus: an octopus inspired sofa with no rigid frames. It has two polyurethane and feather-filled star shapes that fit together. 1965 Mustang Rear End Sofa: great gift for gearheads. This was made using the rear end of a classic Mustang. It has an on/off switch and working taillights. 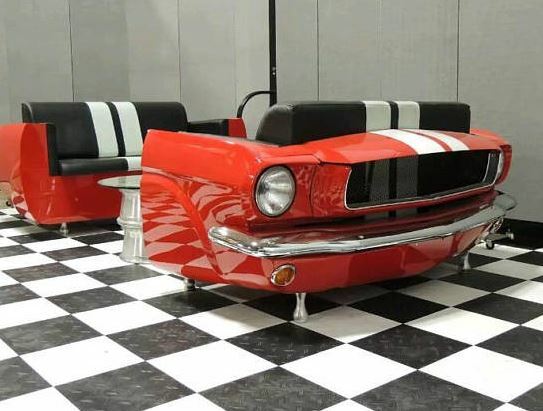 Mustang 1965 Sofa: available in front and rear options. You can even pick an engine block coffee table to complete the set. 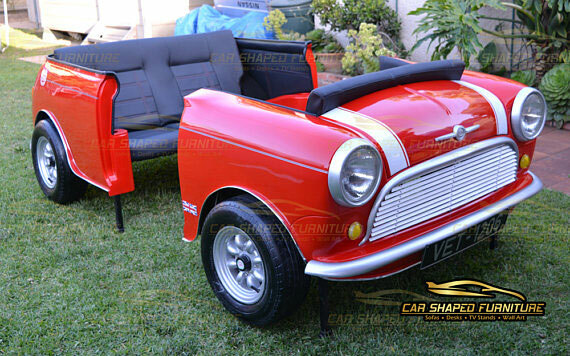 Mini Cooper Rear End: this was made from a classic British Mini Cooper. it comes with working taillights. Harmony Single Sleeper Sofa: this tiny sofa turns into a bed to provide you a comfortable sitting and sleeping experience. Bench-Go-Round: an interactive social furniture for bringing friends and strangers together. Motorized Sofa: this is essentially your living room on wheels. No need to bother even getting up. Motorized Papasan Chair: another motorized chair that gets you around as you relax. 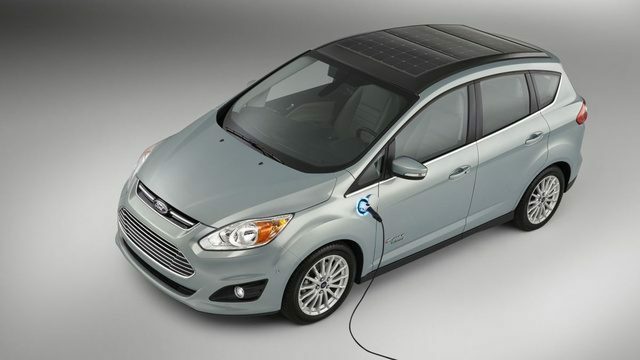 It was built using a modified electric wheelchair. Immersit: a motion and vibration device for your sofa that enhances your gaming and movie viewing experience. 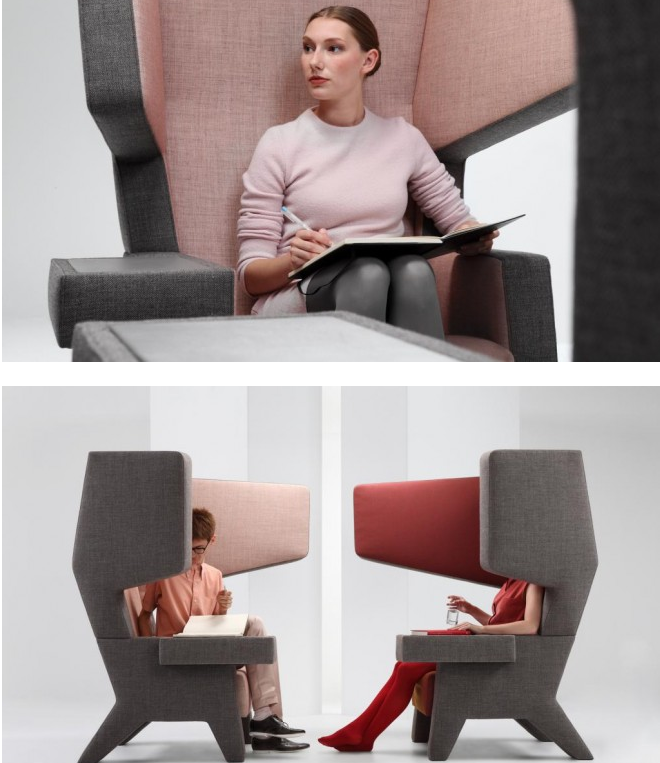 LiftBit: a connected sofa that can be transformed into an armchair, bed, and other configurations electronically. 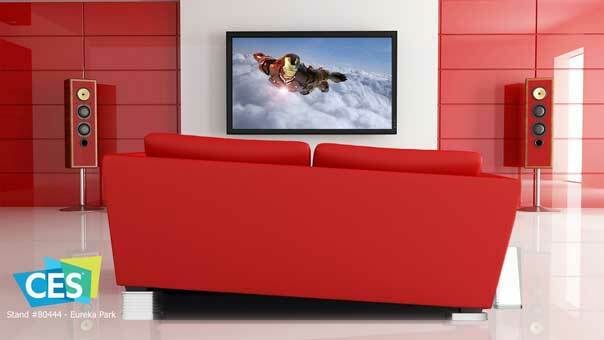 MurphySofa Minima: a wall bed sofa with storage space for smaller homes. The queen size wall bed lowers down right over top of the sofa. Long Horn Convertible Sofa: a comfortable sofa that easily transforms to support multiple sitting and sleeping positions. Two Level Seat: has 2 levels to enjoy the view or relax at your place. Staircase + Bookshelf: a clever hybrid bookshelf with a pull-out staircase at the bottom. Bug Armoire: a pretty unique closet with shelves and drawers of all shapes. You can change the layout of the shelves. Orwell: a sofa bed that not only keeps you convenient but also gives you privacy. The heavy quilted curtains are designed to insulate against sound. SofaLift: a clever tool that lets you move your heavy sofa and furniture pieces without breaking your back. 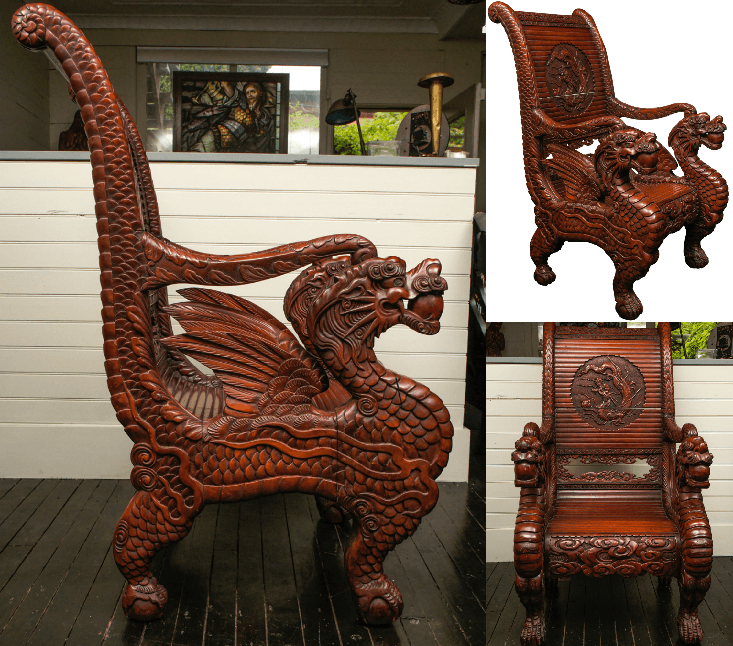 Carved Hardwood Dragon Chair: a beautiful fully carved armchair with dragon motif. 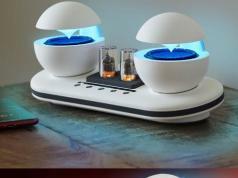 Robotic Transforming Dining Table: automatically expands to accommodate more people. You don’t even have to break a sweat. 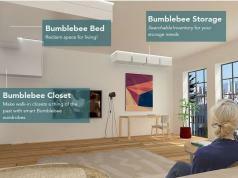 ILY-I: an interactive furniture that moves you around indoors. 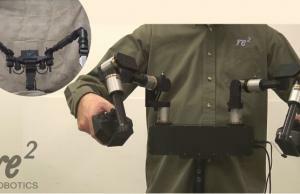 Its controller is part of the armrest, so users can move, turn, and rotate conveniently. Parisot Space Up Bed: another great bed for small homes. You can lift up to access the hidden storage beneath. Whiskey Barrel Arcade Machine: an elegant piece that also works as a game table, allowing you to play 60 classic games. Darth Vader Armchair: a Darth Vader inspired armchair with a beech wood frame and plywood seat. Only a handful of these are available. 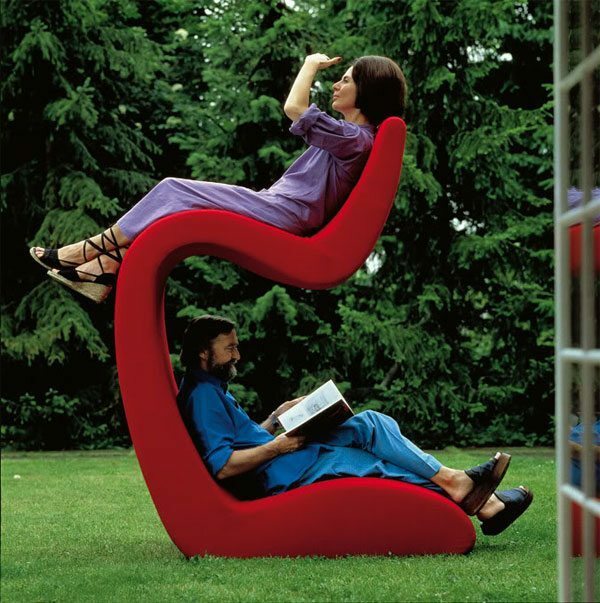 Earchair: gives you private space to relax and rest. It was designed by Studio Makkink & Bey.